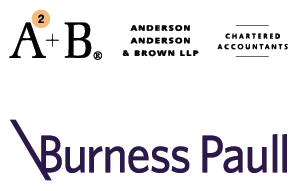 “In May 2015 Scottish Members Anderson Anderson & Brown LLP (TIAG) and Burness Paull LLP (TAGLaw) were co-principal sponsors and hosts of the TAG Alliances International Conference in Edinburgh, Scotland. Over the course of the conference there were numerous opportunities for networking and the topics of the various sessions and presentations included the future of Europe, cross-border dispute resolution as well as firm and practice development, hosted by several key and influential speakers. We were delighted to have been able to participate in the conference which provided an excellent platform for the TAG Alliances to get together to discuss topical issues and developments while sharing knowledge, best practices and strengthening relationships. It is fantastic to be actively involved in this alliance which brings so many benefits to the firms within it and their clients." "...Seamless Integration of TAGLaw Firms..."